Music News- World-renowned electronic music producer and tastemaker deadmau5 is proud to announce “mau5trap radio,” a new international weekly radio show that he has curated. With every show hosted by the deadmau5, the program will showcase mau5trap‘s new and upcoming output via one-hour mixes featuring music from label artists like REZZ, ATTLAS, No Mana, BlackGummy, Rinzen and more. NYC "THE KNOCKS" DELIVER NEW ALBUM "NEW YORK NARCOTIC", OUT TODAY VIA NEON GOLD/BIG BEAT RECORDS! Album highlights include their smashing single "Ride or Die" ft. Foster the People which has garnered over 28 Million streams, hitting #1 on iTunes Dance, 22+ weeks on Billboard Dance chart and 16+ weeks on the Billboard Alternative chart plus an appearance on Late Night w/ Stephen Colbert (WATCH<https://youtu.be/whwm7f02vHI>); alongside "Goodbyes" featuring Method Man from the legendary Wu Tang Clan (WATCH<https://youtu.be/XUN3SlfTAvs>). "Ride Or Die" also received a hilarious official music video that parodies cult classic movies handpicked from The Knocks throughout. (WATCH<https://youtu.be/x_y1riy0WYU>) Also, the vibey track (along with its killer lyric video<https://www.youtube.com/watch?v=6H8pDUykox0>) "Shades" features vocals from Jpatt and is currently playing in Hyundai's tv/radio/online ad campaign. (WATCH<https://www.ispot.tv/ad/d2ve/hyundai-epic-summer-sales-event-family-time-song-by-the-knocks>). Music News- For a career that's creatively evolved over a decade with numerous record-breaking sold-out shows, platinum-selling original releases, multiple major music award-wins and event firsts, deadmau5—one of the world’s most renowned electronic music producers and live performers–will add another prestigious accolade to his extensive list of accomplishments. Today, Netflix and Constantin Film announce that deadmau5 is creating his first-ever film score for Polar, set to be released next year. 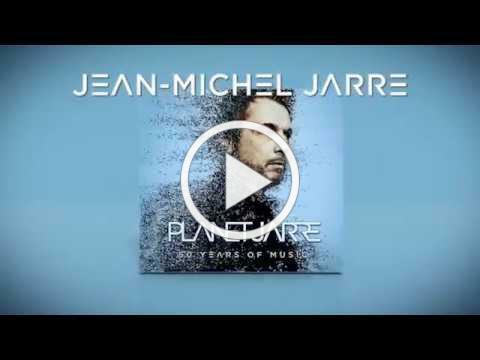 Music News- Commemorating fifty years of music and innovation, the Godfather of Electronic Music JEAN-MICHEL JARRE (JMJ) releases his 41-track best-of PLANET JARRE today (September 14) via SONY. Providing an intimate, indispensable, and inimitable overview of his storied career thus far, he personally oversaw comprehensive remastering and chose the compositions that drive this journey in four playlists: Soundscapes, Themes, Sequences and Explorations & Early Works.It’s available in four configurations: vinyl, box set, deluxe CD, and standard CD. The vinyl and box set both unlock a download card for Jean-Michel Jarre in 5.1, granting the most immersive listening possible and perfect for audiophiles. Music News- With his upcoming previously announced best-of PLANET JARRE set for release September 14 via SONY, the Godfather of Electronic Music JEAN-MICHEL JARRE (JMJ) celebrates his 50 years at the forefront of electronic music with an extensive double album that will once more cement his legacy in pop music history. Consisting of four parts — Soundscapes, Themes, Sequences, Explorations & Early Works — PLANET JARRE is unmistakably and utterly typically Jarre, highlighting a different creative focus of his work. “HERBALIZER“ - available now on all DSPs–appears as part of the Sequences collection based on the repetitive and hypnotic sequences that only electronic instruments can create. PLANET JARRE comprises 41 works from his extensive music catalogue, hand-picked by Jarre himself and completely re-mastered to add a new and sparkling freshness to the sound of the package. To top things off, the Vinyl Book and Ultimate Box Set both come with a download card to enter the world of Jean-Michel Jarre in 5.1. Always fascinated by the best possible sound and technology Jarre mastered some tracks in 5.1. for a unique listening experience. PLANET JARRE is available now for pre-order HERE. The release of PLANET JARRE follows the 2018 USA leg of Jarre‘s ELECTRONICA World Tour where he made his U.S. festival debut at Coachella to critical acclaim. JARRE is a 2017 Grammy nominee, with more than eighty million albums sold throughout his career, a four-time Guinness World Record holder for largest concerts ever performed, and UNESCO Goodwill Ambassador renowned for his one-off groundbreaking events at historical landmarks across the world. He’s one of the first artists in the world to perform electronic music as we know it today. Comprising of four parts—Soundscapes, Themes, Sequences, Explorations & Early Works—PLANET JARRE is unmistakably and utterly typically Jarre, highlighting a different creative focus of his work. Soundscapes taps into Jarre’s natural sense for acoustic aestheticism and atmospheric composition translated into nine soundscapes that clearly reference his background in classical music and his passion for motion picture scores. Long and familiar ambient tracks like “Oxygene 1”, “Equinoxe 2” and “Chronology 1” seamlessly follow newer pieces like the original title track of Electronica–The Heart of Noise. Themes features indestructible, timeless melodies and song-like structures such as “Oxygene 2,” “Oxygene 4,” “Zoolookologie” and “Industrial Revolution Part 2” that will resonate with everyone familiar with his repertoire. Music News- Following the release of Tangerine Dream’s latest studio album, *Quantum Gate*, Kscope are set to release the album as a 2CD set with the inclusion of the EP *Quantum Key*. *Quantum Gate* released on September 29th 2017, to coincide and celebrate the 50th anniversary of the foundation of the band, was the first studio album since the passing of Edgar Froese Tangerine Dream's visionary founder, by the remaining band members Thorsten Quaeschning, Ulrich Schnauss and Hoshiko Yamane. Music News- Brit's Hercules & Love Affair this week unveiled the full video for “My Curse And Cure”, (watch above) the latest single from their critically acclaimed fourth album ‘Omnion’ currently on rotation at BBC 6music. “‘My Curse and Cure,’” Butler continues, “is a song about the inevitability of pain in life. It was not an easy song to write, Gustaph and I wrestled with it. My personal modus operandi can easily turn to simply ‘avoid pain’ which is on some level very human and natural, but also simply prohibits personal growth. This song is an examination of the notion that pain can be a positive catalyst as well as a scourge in our existence." Helping Butler interpret ‘Omnion’’s message of faith and tolerance on H&LA’s fourth studio album are a world class act of singers including The Horror’s Faris Badwan, Lebanese rockers Mashrou’ Leila, New York singer-songwriter Sharon Van Etten on single and title track “Omnion,” Icelandic sister act Sísý Ey, in addition to regulars Rouge Mary and Gustaph. ‘Omnion’ hits the zeitgeist with eleven songs that sparkle with faith and tolerance as a response to our troubling times. H&LA fans can expect remixes of “My Curse & Cure” to be announced very soon.